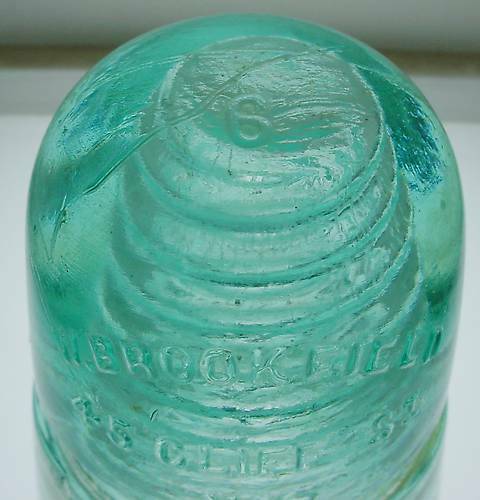 Crown Embossed Brookfields (CREBs) > When is a 6 a six or a . . .upside down 9 or a nine . . When is a 6 a six or a . . .upside down 9 or a nine . .
SN 6 (or 9) here. It is on a . Other sixes (6's) have seen have been crudely engraved . . .backwards. . .upside down (9's) etc. This SN does not match any of the creb 9's in my hoard. . .either. Any ideas. .? Weird 9 or lazy 6. Unusual? Bad eye site on my part? Advanced crebitis affecting my judgment. . .? Common as dirt? Scarce as hens teeth? Help and old crebhound out. . .